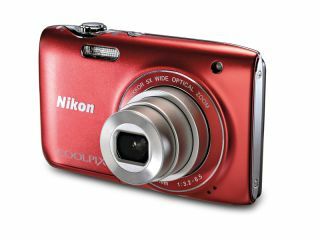 Sales of compact cameras fell by 30% during 2011, according to research by GfK. The increasing proliferation of smartphones and their better specs are being blamed for the reduction of compact sales. The iPhone 4 is the most popular image making device currently being used on popular networking site Flickr, with a huge variety of photography apps available to "iPhoneographers". The research showed that basic fixed lens cameras accounted for almost half of manufacturers' takings in the UK during 2010. By November 2011, the most recent data suggests that these cameras made up just 37% of takings. Camera makers are fighting back against the fall in sales with more and more gimmicks, which include wireless uploading, 3D shooting and a wide range of scene modes and other advanced features. Sales of DSLRs don't seem to be affected by the likes of the iPhone, for now at least. The Nikon D90 remains the second most used camera on Flickr. It was the camera's improvements on board the iPhone 4S that was touted as one of its key selling points. It features an 8 million pixel sensor and a lens that has a wide maximum aperture of f/2.4, which helps with low-light photography. Similar trends are being spotted globally, with US research reporting a 10% increase in the number of photographs taken with a phone. Speaking to the Guardian, Trevor Moore, the chief executive of photographic retailer Jessops, said that while basic models were selling less, premium compacts were doing well, especially those offering a long zoom lens. For instance, sales of those offering zooms of greater than 10x rose by 42%. Compact system cameras meanwhile, are also doing well, with a volume rise of 51%. Despite the gloomy outlook, this week several camera manufacturers including Sony, Canon and Olympus have unveiled a number of new compact models at CES, an electronics show in Las Vegas.